Thanks to the technology called OptimalTEMP, you won't ever have to waste another minute of your life pre-sorting different items of laundry or adjusting the temperature settings. The model simply does it for you, setting up a perfect combination of steam and temperature. The T-ionicGlide soleplate is both extremely light and highly efficient. The model produces quite a lot of noise when generating steam. The Philips GC9630/20 is definitely not the cheapest option on the market but the sort of exceptional convenience it provides and the kind of performance it is capable of delivering are more than enough to justify its price. If you don't mind spending a few extra pounds, this product is just about as good as it gets. 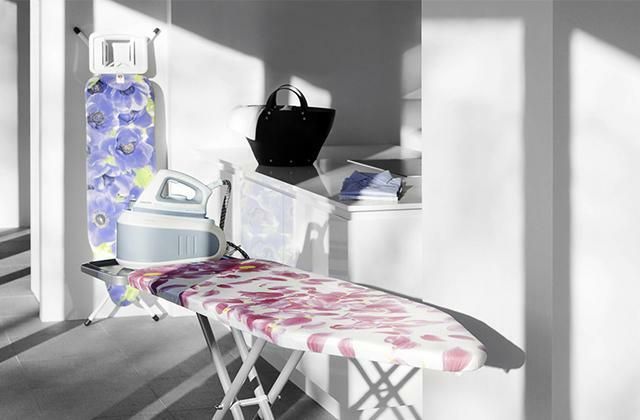 The Smart Technology provides the user with the most precise ironing results, all at a single touch of a button. You won't have to deal with an array of complicated controls, just choose one of the preset ironing levels – ‘synthetics’, ‘silk’, ‘wool’, ‘cotton’ and ‘linen’ and let the model sort out the rest for you. Takes some time to cool off after switching from high to medium settings. 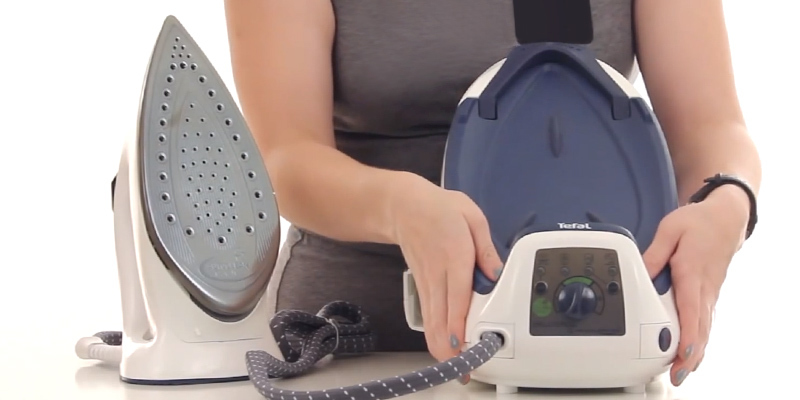 The Tefal GV9071 is the best steam generator iron for those customers that prefer to have a sufficient level of control over the ironing process but don't want to deal with a whole array of useless and often underwhelming settings. A water spray will allow you to add some additional moisture in order to deal with tougher wrinkles. A soft grip handle will prove to be important when it comes to both comfort and safety. The iron is quite easy to maintain, mostly thanks to the fact that it works by utilising replaceable anti-scale cartridges. There's no automatic shut off function. 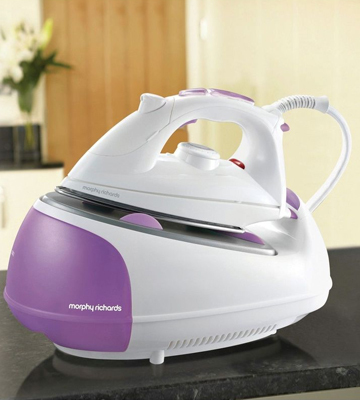 The Morphy Richards 333020 is not the most impressive steam generator iron out there, we will give you that much. But given the sort of a price tag it comes with, this is the best bang for your buck if you'd like to speed up the ironing process but wouldn't want to pay a pretty penny for it. 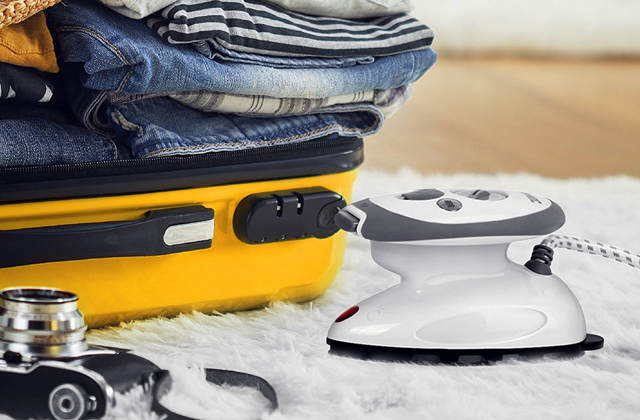 This steam generator iron is safe to transport since it locks itself securely on to the base, so you can just grab the handle and carry this small appliance with you. Plus, the auto-cord function automatically rewinds the cord when you're done, concealing it inside the base. The slider control is a bit too sensitive. We could easily recommend the Tefal GV8461 to just about any customer that would like to enjoy the results of the French manufacturer's renowned quality without having to pay the sort of price that is usually attached to their products. This small appliance offers a steam output of 180 grams per minute, so you will be able to deal with any crease or wrinkle in absolutely no time, regardless of how stubborn it is or the type of fabric you're dealing with. The control panel is simple and the vertical steam option is there as well. The auto-cord rewind is somewhat inefficient. 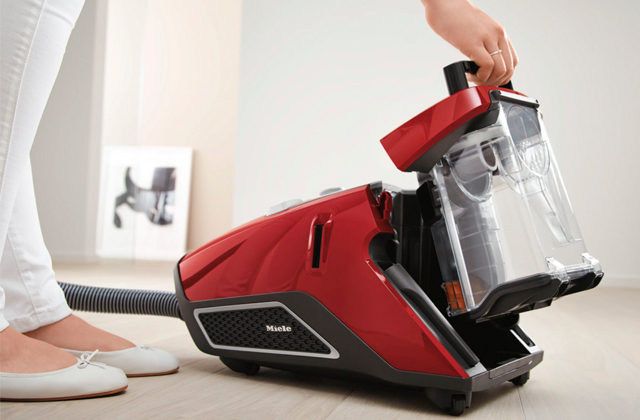 If you're looking for the most powerful option on the market, the Morphy Richards 42223 should prove to be right up your alley. And if you don't care that much for power and would simply like to acquire a steam generator iron, there's no reason not to give this budget option a try. 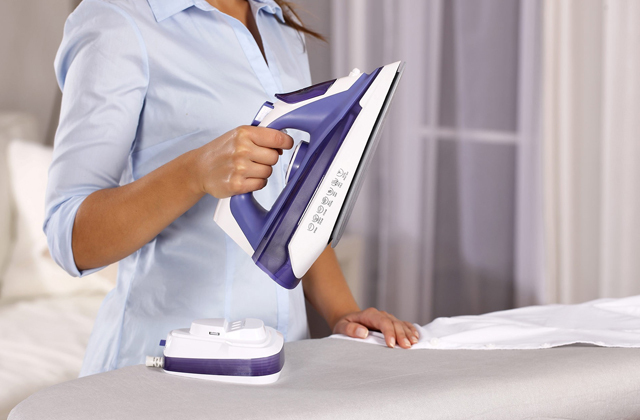 It's no secret that any steam generator iron is much more efficient compared to a regular steam iron and even the least impressive examples of the former appliance take far less time to iron the clothes than those regular clothes irons. So why would any customer choose a product like the Philips GC9630/20 over a cheaper option? Well, quite a few reasons, really. 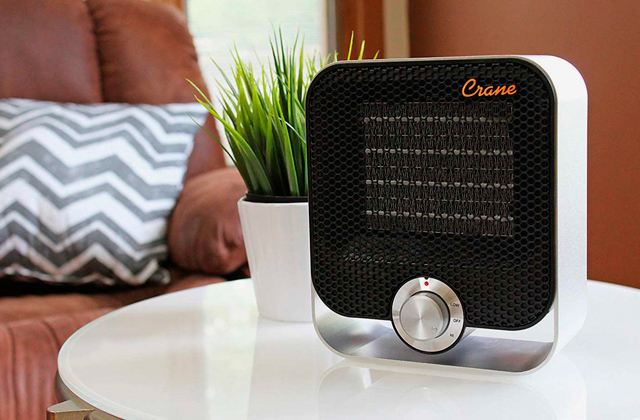 For starters, this appliance includes a very particular technology called OptimalTEMP. With its help, you won't ever have to waste another minute of your life pre-sorting different items of laundry or adjusting the temperature settings. The model simply does it for you, setting up a perfect combination of steam and temperature. From delicate silk to thick denim, it will remove every single one of those pesky creases and you won't have to worry about burned fabric due to incorrect settings. 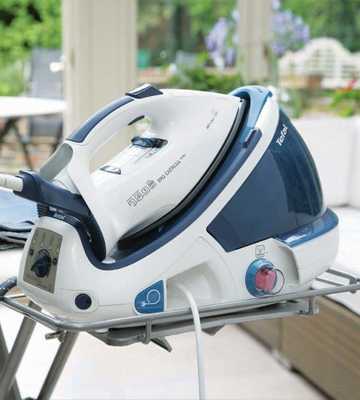 The T-ionicGlide soleplate that the Philips steam generator iron comes equipped with is both extremely light and highly efficient, offering you the sort of performance that is simply unmatched. You can leave it on clothes knowing full well that it won't do any damage to the fabric. Speaking of performance, the manufacturers made sure to implement this product with the sort of technologies that allow it to produce up to 6.7 bar steam pressure, meaning that it will be able to deliver 135 g/min of consistently powerful steam. And whenever you face a particularly stubborn wrinkle, you could always activate the steam boost option that produces 470 grams of steam per minute, deeply penetrating the fibres of any fabric. Any decent steam generator model comes equipped with some kind of anti-calc solution, and the particular product from Philips is no exception to this rule. All you have to do is open the Easy De-calc shoot, collect and simply dispose of the water. And in case you ever forget about it, the appliance utilises a system that reminds you of that after ten hours of ironing. Now, there are still a few extra features that the Philips steam generator iron will be able to offer you but we're running out of space here, so, to conclude this review, the Philips GC9630/20 is definitely not the cheapest option on the market but the sort of exceptional convenience it provides and the kind of performance it is capable of delivering are more than enough to justify its price. If you don't mind spending a few extra pounds, this product is just about as good as it gets. 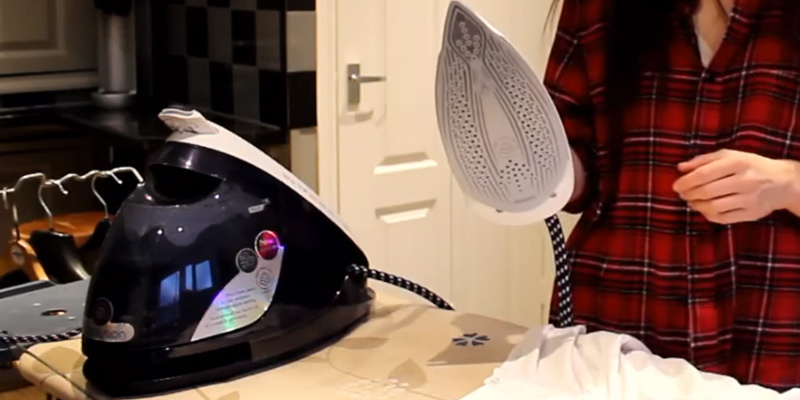 The Tefal GV9071 will prove to be a great option for those individuals that know exactly what they're doing when it comes to ironing, ergo they know exactly what they want out of a clothes iron. Where some manufacturers fall into the trap of incorporating way too many setting options and others fail to deliver enough of them, the people behind this one managed to gracefully land right between these two. What allowed them to achieve such a feat is the Smart Technology that provides the user with the most precise ironing results, all at a single touch of a button. You won't have to deal with an array of complicated controls, just choose one of the preset ironing levels – ‘synthetics’, ‘silk’, ‘wool’, ‘cotton’ and ‘linen’ and let the model sort out the rest for you by ensuring the optimal balance of temperature and steam for each fabric. 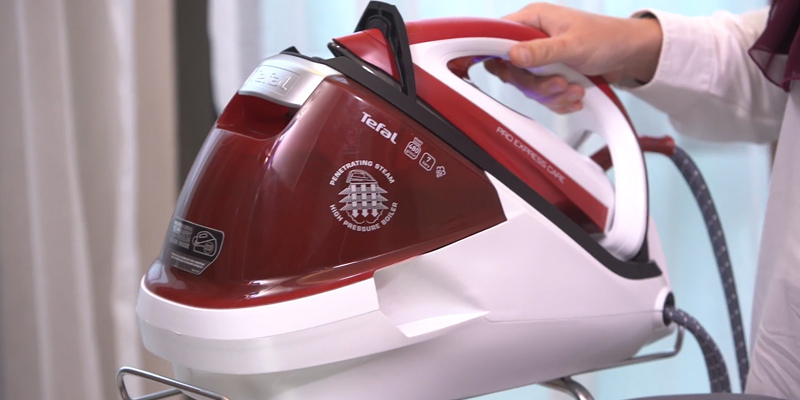 In terms of performance, the Tefal steam generator iron offers a steam output of 120 g/min, which isn't too shabby at all, but what is far more impressive is that the model produces up to 7.5 bars of pressure while releasing the ridiculously powerful steam boost of up to 500g/min, something that no other steam iron out there is capable of offering its customers, at least as far as we know. Suffice it to say, you will be able to deal with any wrinkle in no time by simply activating the steam boost option. Then, there's the double protection system that, in addition to the usual anti-scale technology, also protects your clothes by utilising the anti-drip function. As you'd probably guess, the latter will be able to virtually eliminate any potential risk of garment staining. The system simply catches all of those dirty water droplets and transforms them into steam before they ever have a chance of staining your precious clothes. Of course, all of that works through the Durilium Airglide Autoclean soleplate, one of the better parts of this model that delivers exceptional steam distribution, all while providing +33% extra glide if you compare it to Tefal gv8461 and other previous iterations of its line. 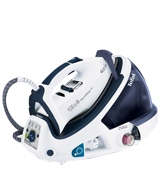 Without even touching upon the subjects of safety and transportation, something that this product excels at just as well, we can say that the Tefal GV9071 is the best steam generator iron for those customers that prefer to have a sufficient level of control over the ironing process but don't want to deal with a whole array of useless and often underwhelming settings. Want to experience the advantages of a higher steam output for yourself but don't feel like spending a few hundred pounds on a small household appliance? Then you should definitely consider giving the Morphy Richards 333020 a chance. Why? Well, if only for the fact that this thing costs considerably less than a hundred pounds, and while it can often be hard to put a price on "things" like the sheer convenience of a much faster and more comfortable ironing experience, think we can all agree that the price would be well above double digits. In exchange for that measly sum of money, you will receive all of the advantages of an adequate steam generator iron. For example, the 100 g/min steam output that will allow you to deal with the most annoying creases and the most stubborn wrinkles. It will relax the fibres in all garments to make the latter process easier for you even with heavy fabrics like denim and linen. The soleplate is made of stainless steel, meaning that it will last for years to come and you will be able to remove creases throughout all of those years. The water tank has the capacity of 1000 ml, not a whole lot if you compare it to the more expensive models but more than enough for you to iron quite a number of clothing items in one sitting. 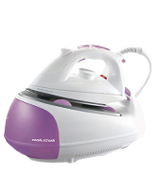 Other than that, this steam generator iron offers some of the same features you'd be able to find in just about any decent clothes iron, like a water spray that will allow you to add some additional moisture in order to deal with tougher wrinkles and a soft grip handle that is important when it comes to both comfort and safety. Finally, this particular product is also quite easy to maintain, mostly thanks to the fact that it works by utilising replaceable anti-scale cartridges. 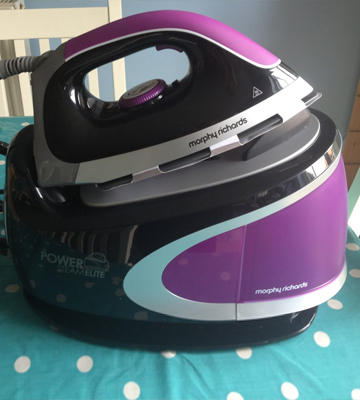 All things considered, the Morphy Richards 333020 is not the most impressive steam generator iron out there, we will give you that much. But given the sort of price tag it comes with, this is the best bang for your buck if you'd like to speed up the ironing process but wouldn't want to pay a pretty penny for it. Generally speaking, Tefal is the kind of company that is more known for working with the higher-end segment of the home appliances market, meaning that the majority of their products usually lend somewhere in the more expensive part of the price spectrum. However, the company is also not the one to leave their less affluent customers hanging, and the Tefal GV8461 could easily serve as a great example of that. In short, what we have here is a product that combines the excellent quality of Tefal with the price tag that is usually reserved for the lesser known brands that often produce subpar products. First off, this steam generator iron is safe to transport since it locks itself securely on to the base, so you can just grab the handle and carry this small appliance with you. Plus, the auto-cord function automatically rewinds the cord when you're done, concealing it inside the base, a feature that makes the device both easy to transport and convenient to store. 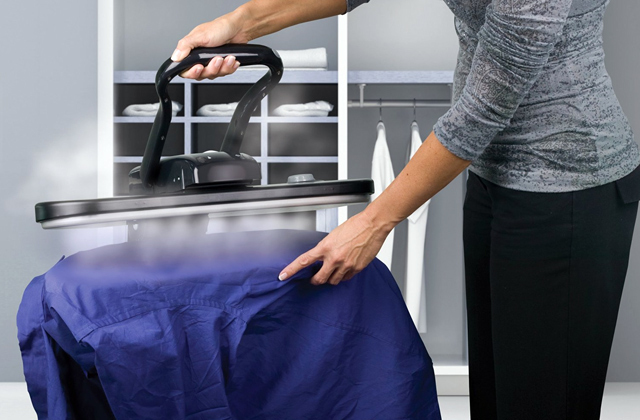 The 1800 ml water tank will allow you to iron a ridiculous number of clothing items in one go. 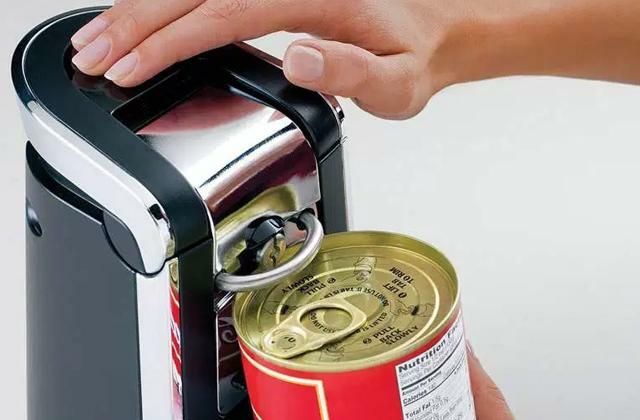 By the way, this thing is also removable, so you won't have to turn the entire appliance off and wait for it to cool down, just remove it whenever you want and refill the tank under the tap. When it comes to performance, the product offers 120 g/min of continuous steam output, which is certainly nothing to scoff at. While the steam boost function is a bit underwhelming since it offers no more than 260g/min, it'll still be more than enough to handle any crease on your clothes with relative ease. 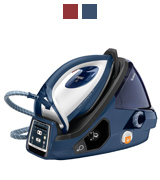 And, just like the more expensive Tefal models, this one comes equipped with the Durilium Autoclean soleplate that ensures a truly effortless ironing process and the anti-scale collector that will prolong the service life of this appliance. All in all, we could easily recommend the Tefal GV8461 to just about any customer that would like to enjoy the results of the French manufacturer's renowned quality without having to pay the sort of price that is usually attached to their products. 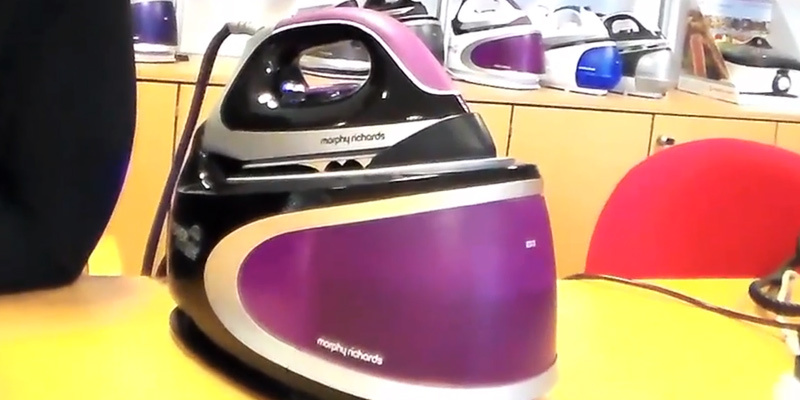 The Morphy Richards 42223 is a budget option, there's just no two ways about it. However, in spite of this fact, this is also one of the most powerful options out there, the kind of phenomenon that doesn't happen quite as frequently as the customers would prefer. 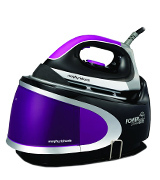 Being able to generate 2400 watts of powers, this small appliance offers a steam output of 180 grams per minute. Surprisingly enough, you won't be able to find a model with these sorts of numbers even in the most expensive segment of the market. As you would imagine, you will be able to deal with any crease or wrinkle in absolutely no time, regardless of how stubborn it is or the type of fabric you're dealing with. Of course, in order to support this performance, the manufacturer had to include a sizable water tank. And, suffice it to say, they did just that by implementing the one that features the 2000 ml capacity. Thanks to the latter, you will be able to iron virtually any number of clothing items in one fell swoop. 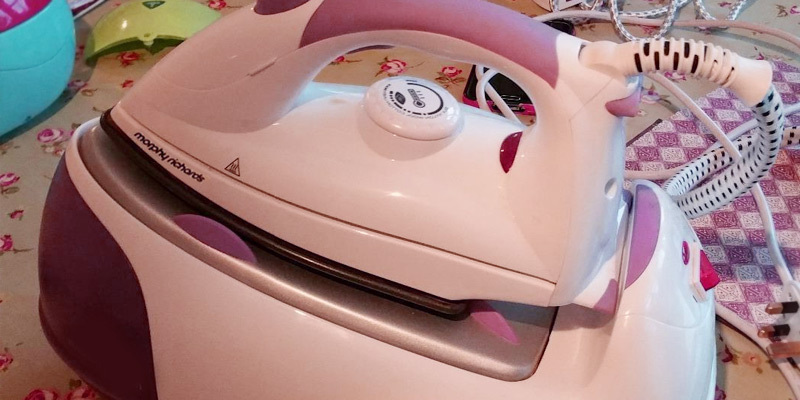 Other aspects of this steam generator iron include a ceramic soleplate that, for the lack of a better word, provides exceptional glideability, so you will have the opportunity to iron all of your clothes with effortless ease time after time. And if you're the kind that wears a lot of different clothes (or if you simply live with a large family), you'll certainly be able to appreciate the three steam settings that will provide you with enough flexibility to manage your ironing load in order to suit your needs. Once you're done ironing, you won't even have to turn this thing off since the auto-off function will do that for you once you stop using the appliance for a set period of time (around 10 minutes). What else is there left to say? 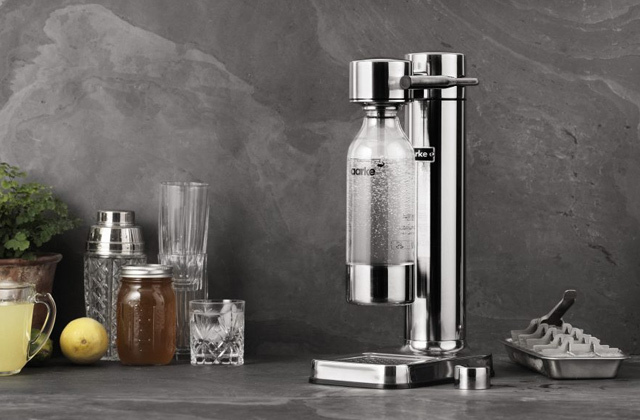 The control panel is simple enough, the anti-scale technology is there and so is the vertical steam option. So, if you're looking for the most powerful option on the market, the Morphy Richards 42223 should prove to be right up your alley. And if you don't care that much for power and would simply like to acquire a steam generator iron, there's no reason not to give this budget option a try. Cleaning clothes is an everyday task, and while some situations require sending clothes to dry-cleaners, there are many of those that can be handled at home. 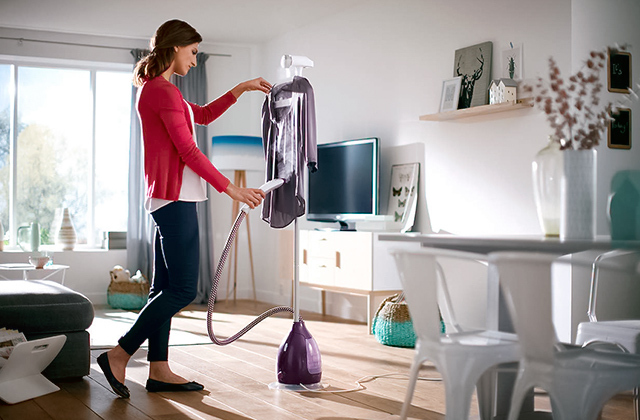 To simplify domestic chores, you can use a steam generator iron, a home appliance with a water tank that smoothes creases by releasing steam. 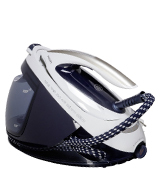 Steam generator irons look like conventional irons; equipped with water tanks, they pump the liquid into a special chamber where it evaporates turning into steam. The advantage of ironing with steam is that it allows for softening fabric by adding moisture to it and eliminates all unwanted smells. 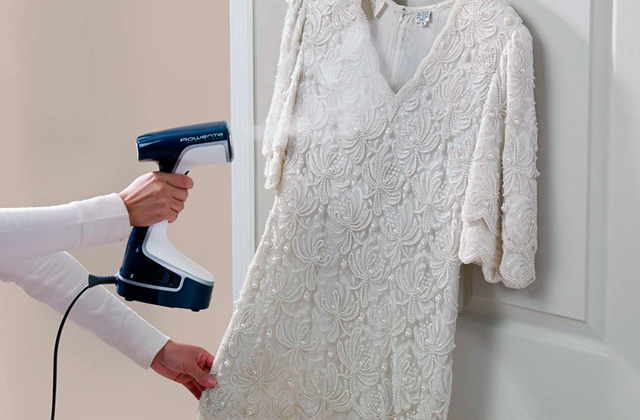 So compared to regular irons that often dry out clothes, damage them, and often leave prints and markings, a steam generator iron takes care of your garments ensuring that they remain in good shape for years to come. And despite being more demanding in terms of maintenance than a simpler iron, purchasing a steam iron can be a very good investment in the long run. To make your household tasks less taxing, we'd also recommend you to take a look at iRobot Roomba robot vacuums that have become a breakthrough in the cleaning industry. With one of them, you can be busy doing the ironing while the robot will run around your house or apartment cleaning floors for you. Also, we'd like to offer you our selection of garment steamers which may become a good addition to your new steam generator iron. A pretty straightforward parameter - the more powerful your device is the faster it works and the easier it will be to deal with big piles of clothes. However, with great power comes great responsibility and you’ll have to wield the more powerful appliances carefully so that you don’t damage your outfits. 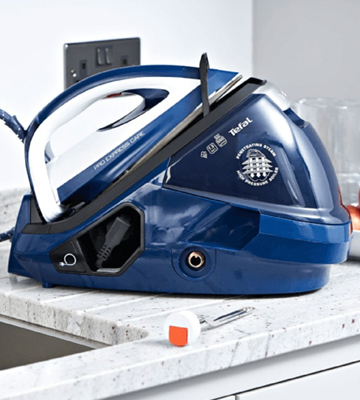 While a 2000 W iron will smooth wrinkles more efficiently than a 1000 W one, in fact, anything below a thousand should mostly be used as a travel model. Anything above two thousand is a good iron that will be sufficient even for a big family. Of course, you shouldn’t forget about the electricity expenses and, if you want to have a lower bill, consider getting a medium-power model. You won’t need to make whole clouds of steam that fill the room but larger garments need more output and if you have a big family, you should consider a more powerful iron. Plus, don’t forget to check the number of holes through which the steam is emitted. The more the better as it allows steam to spread and reduces moisture. 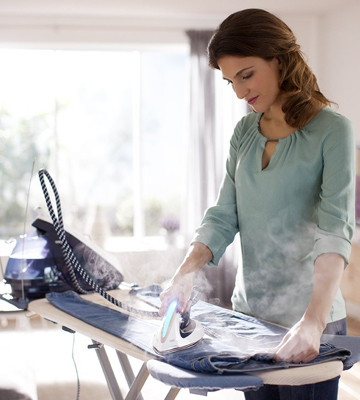 The bigger the water tank is the less often you’ll have to refill an iron during ironing. This saves you time and is just overall more convenient. Of course, a bigger tank might also mean a larger appliance that might be tougher to handle. While most types of coating have their own advantages and should be chosen accordingly, there are some that we’d recommend over others. Depending on the material, the sole may glide easier, hold temperature better, and require lower or higher maintenance. One of the most popular coatings is stainless steel that smoothly glides on all clothes, is easy to clean and difficult to damage even after years of use. It does, however, get stained really fast and isn’t the most hygienic material out there. High-end irons often use ceramic soles which are more gentle and don’t damage the fabric. Plus, they slide like a knife into butter. But ceramic is easier to break and requires very careful treatment. Make sure that the model you buy has some useful extra features such as a steaming function, calc away and lock systems. Don't fall for flashy extras meant to pad out the features list such as additional indicators or some sort of reinforced handle. The latter should be a simple soft grip type that will comfortable to hold for a long period of time. 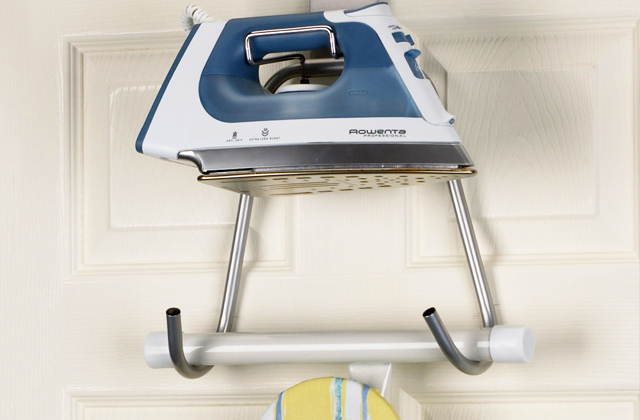 Appliances such as a clothes iron have become so commonplace that we barely ever pay any attention to them. However, the household device has a long and complicated history, which we’re going to dive into right now! Way, way back in the first century, the journey towards a modern smoothing iron began. In China, where progress has always seemed to be surging ahead, boiling hot water was poured into metal pans which were then used to get rid of creases and smells in garments. Of course, this is far from the appliance we use today, but the method at its core is the same. The white-hot pan would warm clothing as well as smooth it, despite not being as advanced. Some centuries later, Romans decided that an approach as refined as “warm water in a pan” was too basic for them. They want for a unique technique called “using metal hammers to hit clothes really hard until the creases are smoothed”. Pretty innovative stuff, really, though it failed to catch on in the modern times. It was, however, called a flat iron, largely because it was, indeed, flat and, most of the time, made of iron. Look, if we had the absolute wonder that was the Roman flat iron nowadays, society would have been unquestionably better. But, sadly, sometime in the fifteenth century or so, someone came up with an idea to make the device hollow and fill it with a heat source. Anything was acceptable, from burning coals to, you guessed it, boiling water. With that, people began to think that hitting clothes wasn’t the optimal approach and began to actually use the process of ironing. In the seventeenth century, a gas iron was invented. It could be hooked up to the household’s gas line via a special pipe and, using a burner, heated itself up. Even gasoline was used sometimes, which would drive modern car owners mad. At the end of the seventeenth century, electricity became pretty common and available to households all over the world. And, in 1882, a plug-in iron was invented, the first electricity powered appliance of its kind. Of course, it was pretty basic with no temperature controls or any of the cool features we have now. In fact, it was actually heated on a special stand and both the heating and the cooling occurred gradually and somewhat slowly. One load of laundry would require several reheatings, which could take hours. Two centuries later, the very first steam model was invented, finally reaching pretty close to the ones we use today. A journey this long is worth respect even if it was rocky and, occasionally, extremely strange. We went from hitting our clothes with rocks to heating up gasoline (do not try this at home) to using danger-free and ecologically friendly steam! So when you’re using your electrically powered steam generator iron, don’t lament how boring it is to smooth your outfits, remember that you could be sitting outside and smacking your jeans on a stone instead. We’ve got it good compared to those poor crazy Romans and their mallets. Q: Could steam damage more delicate garments such as nightwear or underwear? Should I be worried about leaving them ruined after using this kind of device? A: Most delicate fabrics actually benefit from a steam cleaning. For example, fluffing woolen outfits with steam erases wrinkles as well as gives them a fresher look. Just try not to touch the clothes, simply hover above the outfit with the sole. You’ll also see your silk clothes become good as new if you use just a bit of steam on them, as long as you remember not to use the iron directly. In fact, just as a rule of thumb, try to only apply steam to any delicate materials. Direct contact is not necessary for cleaning. Cottons and linens can be steam-cleaned as well if you want some really fresh bed sheets or need a crisp shirt for a job interview. Q: Someone in my family is allergic, would steam ironing help at all? A: Steam destroys bacteria and not just the kind that creates the odor on your clothes. It can eliminate dust mites and other undesirables that may contaminate the outfit. If you need a way to curb allergies, steam cleaning might actually be one of the easiest as well as the most affordable methods. Use steam on everyday clothes to destroy allergens and alleviate any reactions. That way you don’t have to resort to chemicals, which may be used during dry cleaning and trigger allergies. It’s safer and simpler! Q: Is there a certain procedure to using steam on different clothing types? Where should I start and how much steam does a garment need? A: Other than trying not to touch the fabric and steaming it from a distance, the procedure doesn’t have too many rules. What we could only add is that it's best to clean it from the top to the bottom methodically going through sleeves and cuffs. In case your garments have some sort of lining, it has to be steamed first and only then the outside of the outfit. Q: Can I use special liquids instead of water? I have some perfume that I want to use in order to add some fragrance to my garments! A: Adding anything but water to the tank can be extremely dangerous and could potentially ruin your appliance. While it may be tempting to experiment a little, we’d advise against resorting to any unusual fuel unless it’s specifically stated in the manual that this type of liquid can indeed be used. A steam generator is a pretty simple device and you don’t need to fill it with distilled or carbonated water so why bother experimenting on something that already works? Q: Is it possible to use the steamer option as a drying method? A: While steam is quite hot and can be used to clean garments, only high-end models provide pure steam while low-cost ones may have some moisture mixed in, which will leave your clothes a bit damp in spots. That would be easier to dry than a completely wet outfit but we only recommend resorting to such methods when you’ve run out of options. In fact, if the fabric is not too delicate, just use the basic ironing function instead, it will work just as well and save you time. We’d only advise steam-drying materials like silk or wool, which shouldn’t be ironed the standard way. 1. Ironing: Tips and Guidelines, HowStuffWorks. 2. Esra Gurkan Expert Home top tips for IRONING your clothes revealed, Daily Mail. April 25, 2017. 3. Are You Ironing Wrong? 8 Tips on Getting it Right, Reader's Digest. 4. 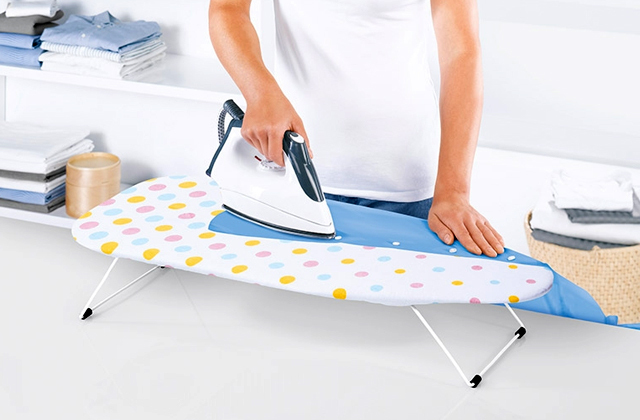 10 Ironing Tips, Momtastic. 5. Mary Marlowe Leverette How to Iron Clothes Correctly, The Spruce. March 3, 2018. 6. Stephanie Mitchell How to Properly Use a Steam Iron, SF Gate. 7. Electric Iron Safety, National Fire Authority.